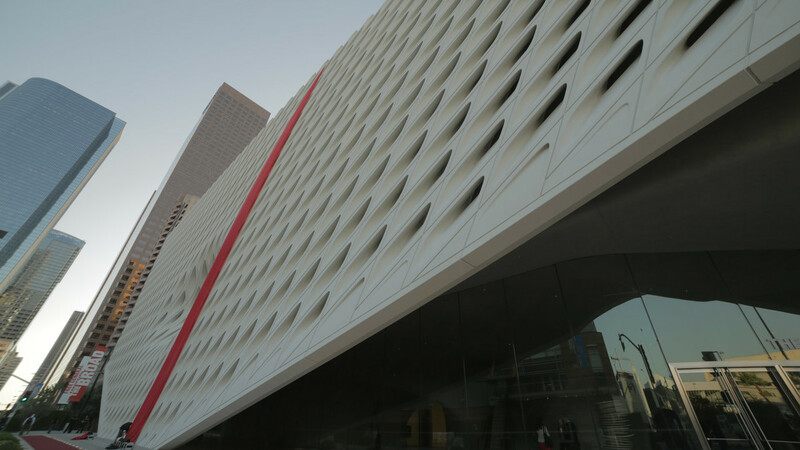 For the grand opening of the Broad Museum in Downtown Los Angeles, yU+co was commissioned for a very special site-specific installation. 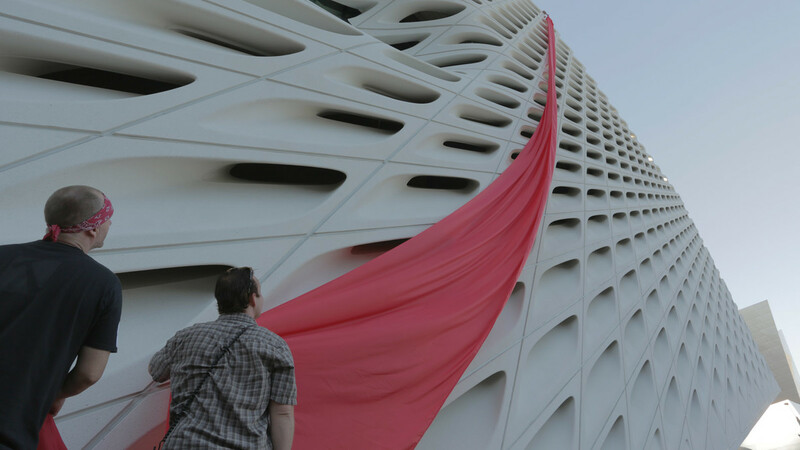 To symbolically open this gift from the city to the public, we designed a large-scale ribbon cutting ceremony. 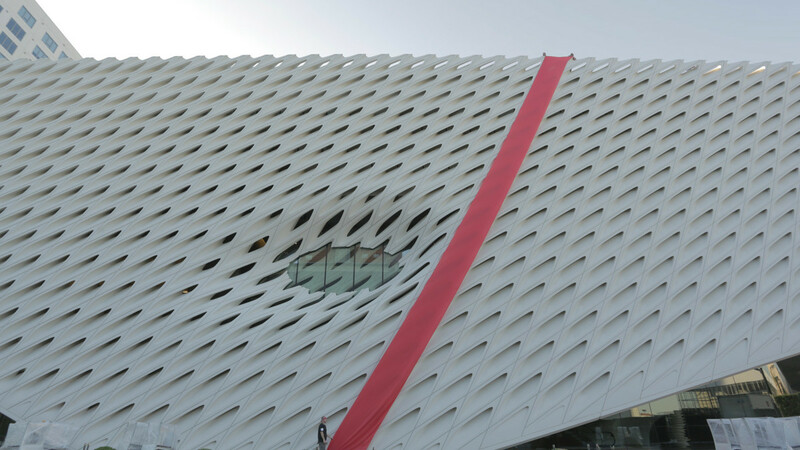 Two red ribbons were draped across the front of the museum, aligned with the building’s architecture. 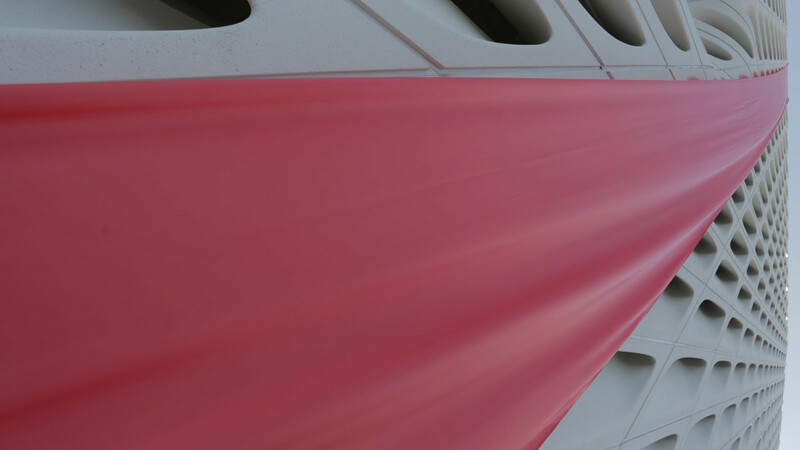 The ribbons were remotely released from the rooftop, falling gracefully to the ground. 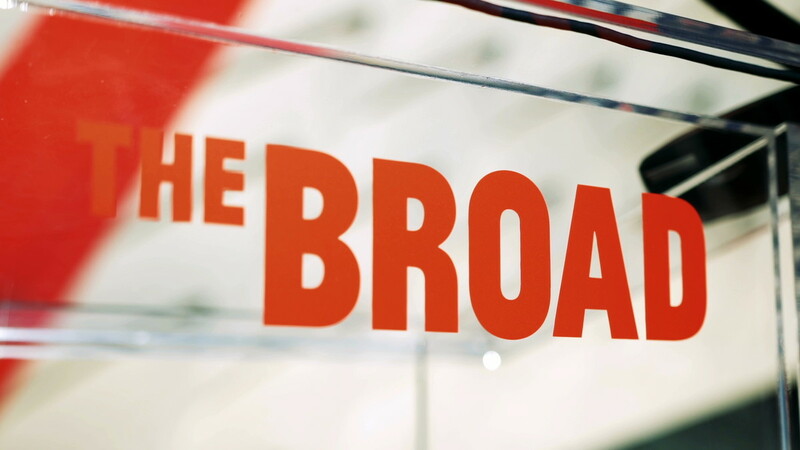 The museum holds nearly 2,000 works of art, and is one of the most prominent collections of postwar and contemporary art in the world. 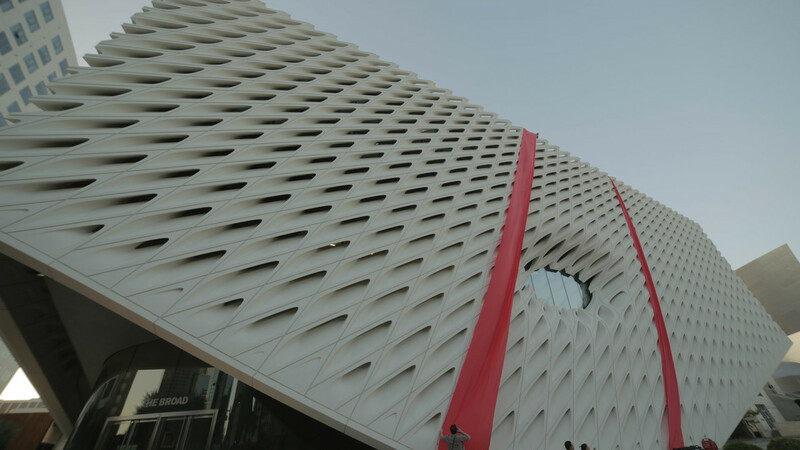 yU+co was commissioned to design an elegant, large-scale ribbon cutting ceremony befitting the Broad Museum's bold architectural design.